ASPnix’s VPS servers are scalable and highly reliable machines built to handle any and all of your needs. If you happen to outgrow your server, it would take only one minute to boost the memory, processing power and/or disk space resources. Features include complete virtual isolation and customizable server software with administrator control via terminal services. You can also test our network speed using our own network speed test utility. We are certain you will love our network speed and service offerings, and with a seven-day money back guarantee, what do you have to lose? See our refund policy article for more information. If you are not familiar with virtual servers, they can be explained as such: they are servers (computers and various server programs) at someone else’s location that is shared by multiple website owners, so that each owner can use and administer it as though they had complete control of the server. This is exactly what you are getting when you purchase a VPS server from ASPnix. We store your server on our virtual cloud so you don’t have to store it yourself, but you will still have complete access to it as if it were your server at your own location. This setup can save you money, space and processing power which is more efficient and effective for you. 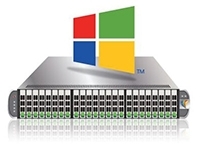 All Windows Cloud Virtual Servers include the SmarterTools Bundle at no additional cost! Your VPS is powered by Supermicro servers with redundant power supplies, Intel Xeon Processors and Samsung data-center grade SSD drives. All Windows-based VPS units support Microsoft’s Remote Desktop for up to 2 simultaneous desktop connections. Our web-based control panel will allow you to easily, start, stop, reset or reinstall your VPS. You can also easily monitor VPS resource usage and more! All Linux-based VPS units support remote SSH / SFTP access. All VPS units have full gigabit connections! No throttling, no filtering, no QOS. Just fast throughput! Round the clock support for your critical server operations! Secure your VPS and stop traffic before it gets to your VPS with our hardware firewall options! Secure your traffic even further with our VPN services! Create a secured tunnel to and from your VPS from your computer, laptop, phone or network (where supported). Included with all VPS services! 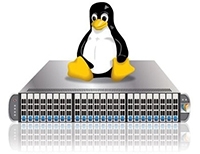 Restore your VPS anytime with ease! We also offer custom backup schedules and retention policies to meet your needs! We offer many additional addons such as hosted DNS, hosted MySQL and SQL Server database solutions and more! All Operating System templates are kept up-to-date. If you require an OS install that has no updates installed, please note during the checkout process. All Operating System templates are clean, no pre-installed services such as IIS, Apache, other bloatware etc. No additional bloat or clutter that other virtual server providers install! All of our VPS server plans have the option to include add-on services such as hosted Microsoft SQL Server databases, hosted MySQL databases and Hosted Exchange level e-mailed, powered by SmarterMail. All add-on services are completely optional and are hosted and managed by ASPnix.